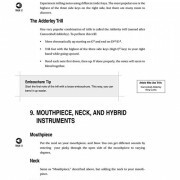 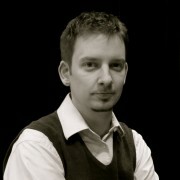 Circular Breathing, Multiphonics, Altissimo Register Playing and Much More! 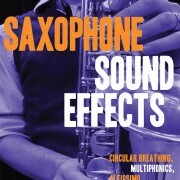 Add unique saxophone sounds to your palette of colors. 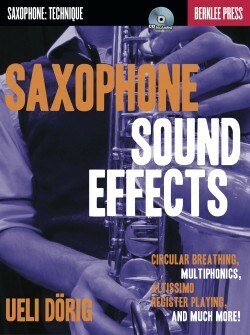 The saxophone is capable of a great range of sounds, from growls and laughs to multiphonics and percussion effects. 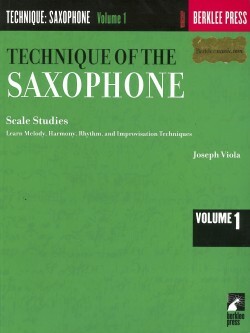 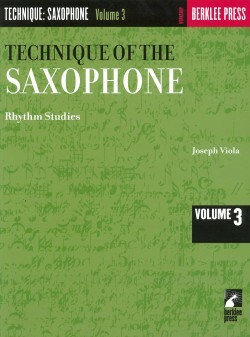 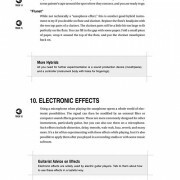 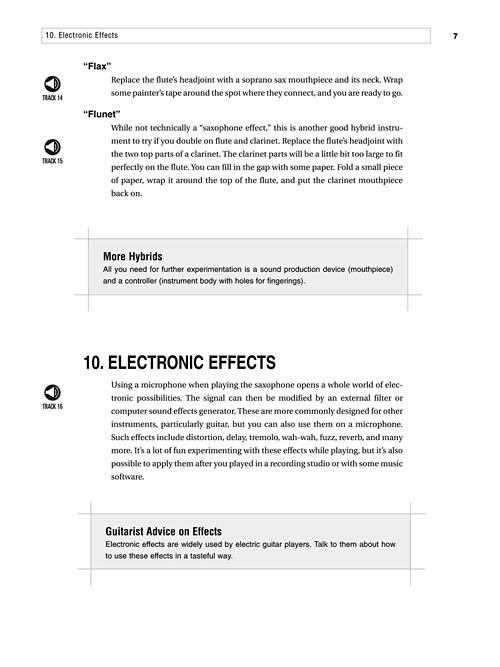 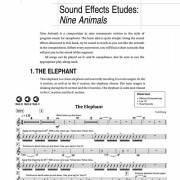 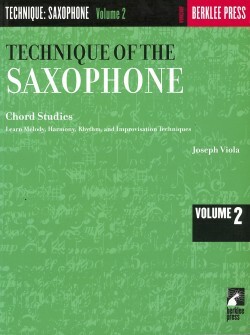 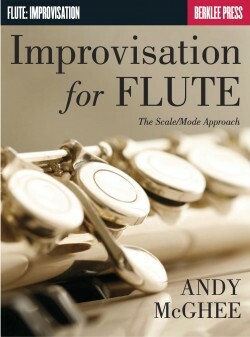 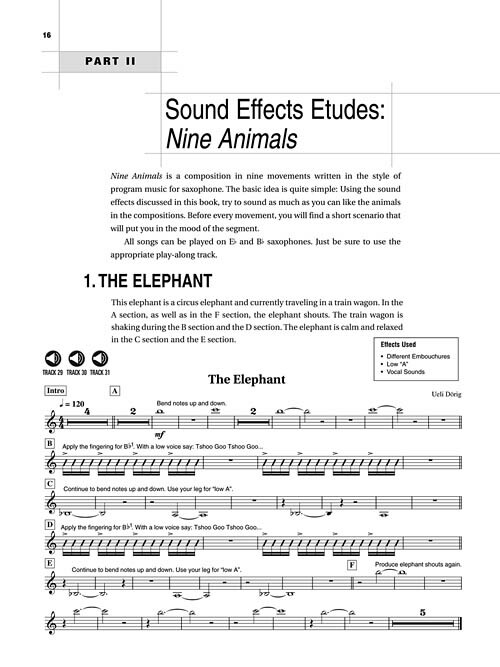 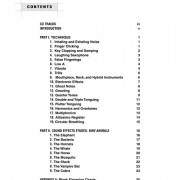 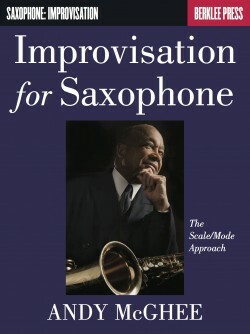 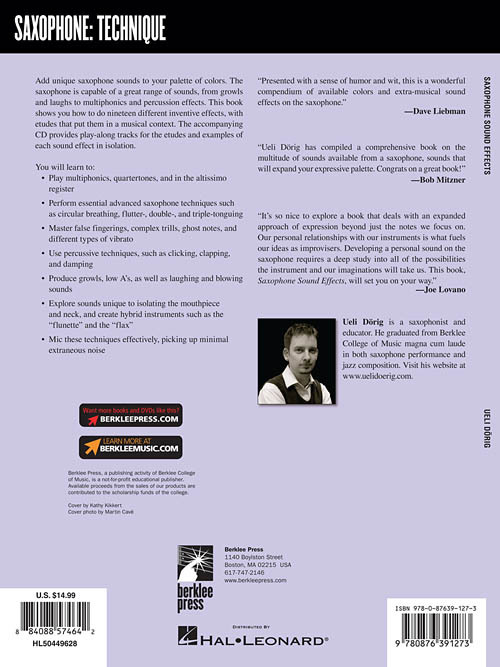 This book shows you how to do nineteen different inventive effects, with etudes that put them in a musical context. 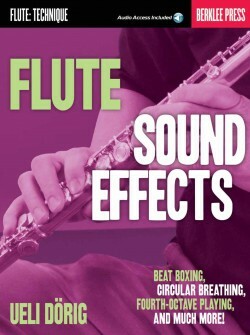 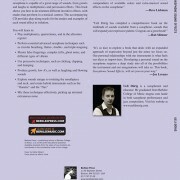 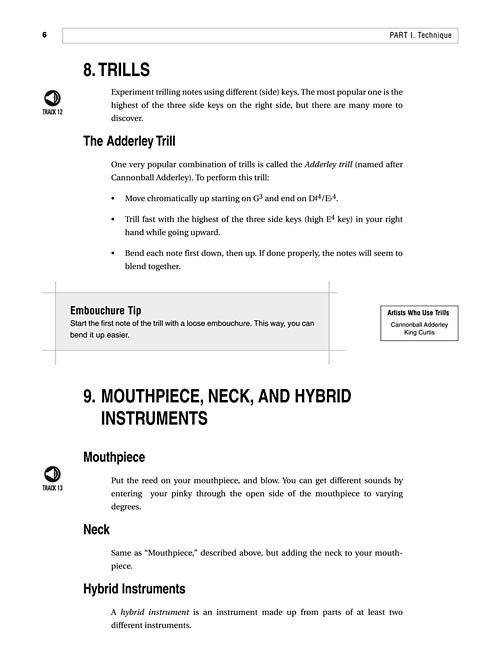 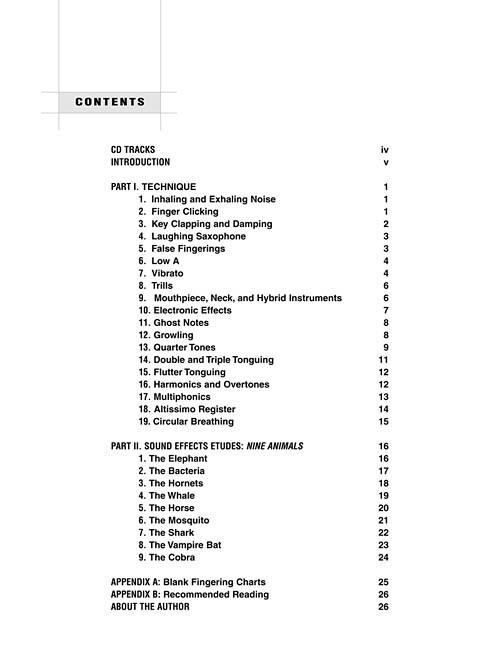 The accompanying CD provides play-along tracks for the etudes and examples of each sound effect in isolation.